'Find Me I'm Yours,' a new book by Hillary Carlip, is a completely new way of telling a story. Even as Kindles and iPads replace paperbacks and hard covers, books are still for the most part just words on the page. Now two media entrepreneurs want to turn books into multimedia adventures. 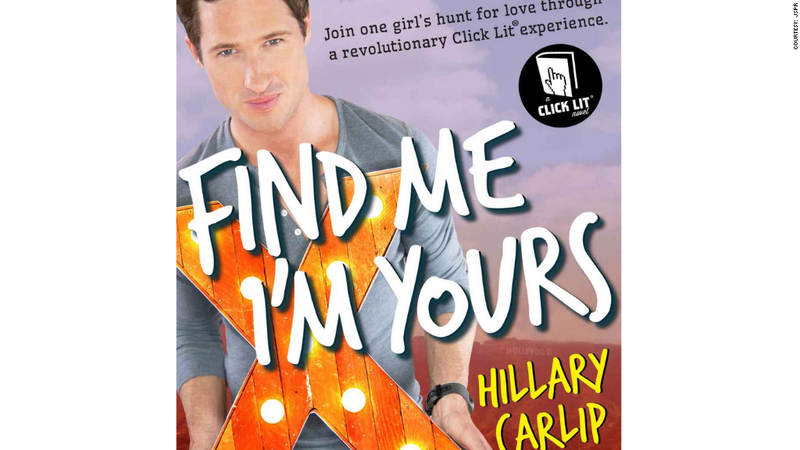 You can read Hillary Carlip's new ebook, "Find Me I'm Yours," digital cover to digital cover and move on, if you'd like. But Carlip and business partner Maxine Lapiduss also built 33 websites, a social network and a handful of Web videos for readers who want to immerse themselves in the story. With it, they also created countless advertising opportunities. "This is how Millenials will consume all content one day. It's going to start a revolution," said Lapiduss. "Find Me I'm Yours" follows the story of main character Mags Marclay, who goes on a scavenger hunt for her soul mate. Rather than simply read about Mags' adventures, readers are able to experience it. They can see her Instagram photos, her art, her handwritten notes and the websites she visits and creates. Carlip, a media entrepreneur, Web designer and author, says she conceived of the idea for the multimedia story in 2010. She brought on her friend Lapiduss, a television writer and marketing executive, to help with the business part of the project. Once they landed ad sponsors, Carlip and Lapiduss created their own production studio. They hired editors and producers for the videos and Web designers for the sites. Five of the 33 websites are "full-on businesses," with advertising partners that include billboard company Clear Channel (CCO), fan fiction site WattPad and Cumberland Brands, maker of Sweet & Low. The book costs $6.49, but Carlip and Lapiddus hope the websites will bring in significant revenue. They are also looking to sell the story's movie rights, and Carlip is already writing a prequel and a sequel. "There are 7,000 ways this will make money if it does well," Lapiddus said. "Of the 33 sites, only 1 needs to hit." The problem is that this has been tried before -- and it's failed. For instance, the Walt Disney Co. (DIS) created an entire interactive department. But Disney couldn't figure out how to make it a success and ultimately shuttered the project. If "Find Me I'm Yours" becomes a hit, the team hopes to use their studio to help other authors and content creators follow the same model. Carlip and Lapiddus want to turn their project into the digital studio of the future. "We plan on taking an entertainment property and putting it on multiple platforms," said Carlip. "It doesn't have to be a book -- it could be a TV show, and we'll make it multiplatform."